Adapted from the ever-popular children’s book by Roald Dahl, Matilda the Musical has been a spectacular since it first opened to packed audiences at the Cambridge Theatre, London. Including original songs from comedian, Tim Minchin, Matilda the Musical at the Cambridge Theatre, London is the latest masterpiece from the Royal Shakespeare Company. Based on the grisly tale by Roald Dahl, Matilda is the story of a young girl, neglected and misunderstood by her family, who discovers she has the power to change her destiny. Matilda at the Cambridge Theatre London is one of the must-see shows for all ages, whether you were inspired reading the original book or watching the award-winning film. 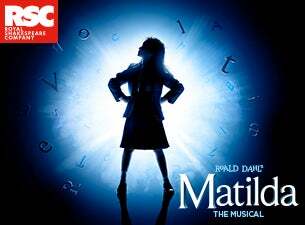 Tickets for Matilda at the Cambridge Theatre, London continue to sell fast and it won’t tour forever. Packed with hilarious songs, outstanding performances and lots of laughs, make sure you don’t miss out on the spell-bounding story of Matilda, live at the Cambridge Theatre, London. Winner of five Best Musical awards and with five star reviews, in Stratford and at the Cambridge Theatre, London, Matilda is a must-see. Get your Matilda the Musical tickets now.